Free download Nevron Writer latest version. Nevron Writer is a modern text processor that delivers fast and robust document processing for a wide variety of text formats (TXT, RTF, DOCX and HTML). The main design goal of Nevron Writer is to provide you with an intuitive and comprehensive text model, which is very similar to HTML, but with extensions specific to text processing associated with printed media – header and footers, columns etc. Nevron Writer now allows it’s users to feel even more at ease by making the interface of the text editor similar to Microsoft Word. 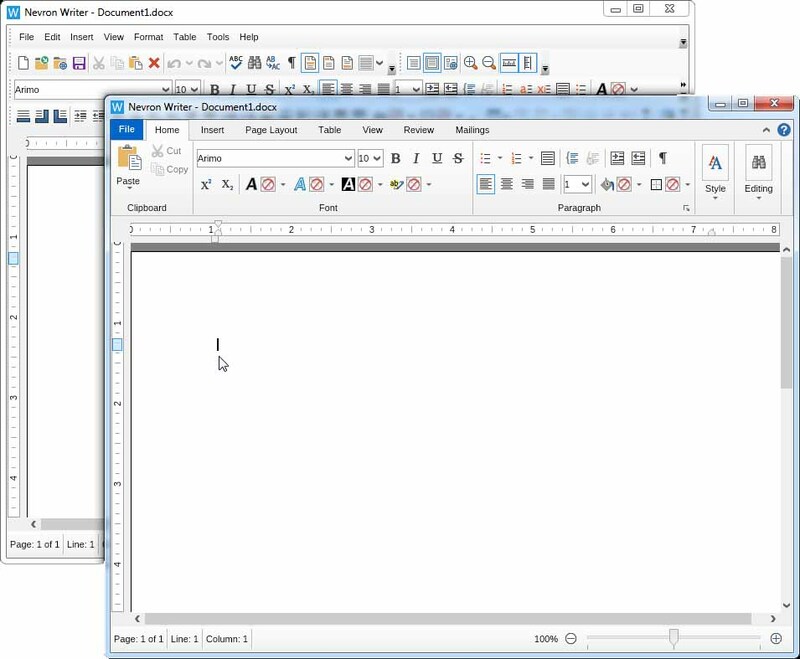 Availability to switch between the classic command bars (Office 2003 style) and the modern Ribbon command interface – you can easily switch between the two user interfaces based on your preference, and enjoy better word processing experience. Nevron Writer provides absolutely identical text writing and editing experience on Windows, Mac and online in your browser via Silverlight. The Writer Online doesn’t require registration – anybody can create, open, edit and save documents absolutely free of charge and without any limitations or the need to disclose personal information. With Nevron Writer, editing experience goes way beyond the capabilities of any other text editor. Besides all of the regular features everybody is already familiar with (such as bold, italic, underlined text, text color and text highlight, tables, image import, links and so on), Nevron Writer introduces padding and margin option for a paragraph, or for a section of text. There are many other features that can be read from the official website.